Personally it starts to hit me mid January. It starts with a feeling of unrest. Like I am forgetting something. Like I am forgetting to wear pants. What I am actually forgetting is to fish more. Never-mind that I don't really have a choice in the matter. By mid February I am certifiably insane with cabin fever. Fly-Carpin has taught me something really interesting about cabin fever. It seems that many other carpers have the same seasonal pattern with it that I do. I know this because overall interest in Fly-Carpin starts to rise rapidly in mid January and peaks by March. You would think that the most interest would be in the summer right? Nope! January, February and March. Now, cabin fever is excruciating, and I would like to help out a little if I can. Obviously I can't change the seasons, but I can help in other ways. First off, I try and ramp up content at Fly-Carpin this time of year and the fly swap is a big part of that. 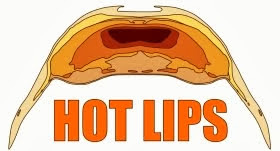 Just as importantly though, I think I can help you find all the hot carp content you need to keep you warm for the next two months. CarpPro Fly Fishing Forum (LINK): The CarpPro forum is always a little slow in the fall and early winter but let me tell you something. When it starts kicking in the late winter / early spring it is the most vibrant and energetic forum that I have ever participated in. Be sure and check it out. Remember - obsessing is tastiest when shared with others. CarpPro Magazines (LINK): You can sink hours and hours digging into the 6 current issues of CarpPro magazine. So many excellent articles, and most of us still have several months left until spring to read them all. The cover of Issue 5 is particularly fetching! 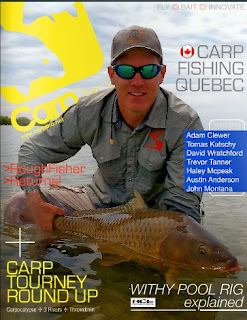 Blogs: The blog-sphere's cup is running over with carp on the fly content these days. 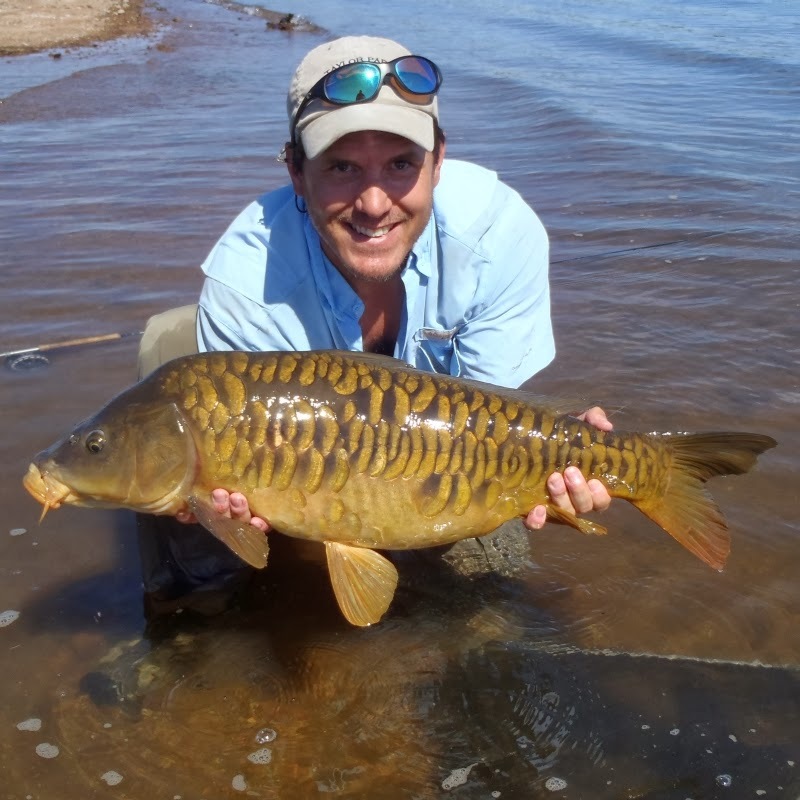 If you take a look at the right side of Fly-Carpin you will find an invaluable resource for finding most, if not all, of the quality carp on the fly content on the blog-sphere. It is called the "CarpRoll" and it is continuously searches the blog-sphere for carp content - so that you don't have to! 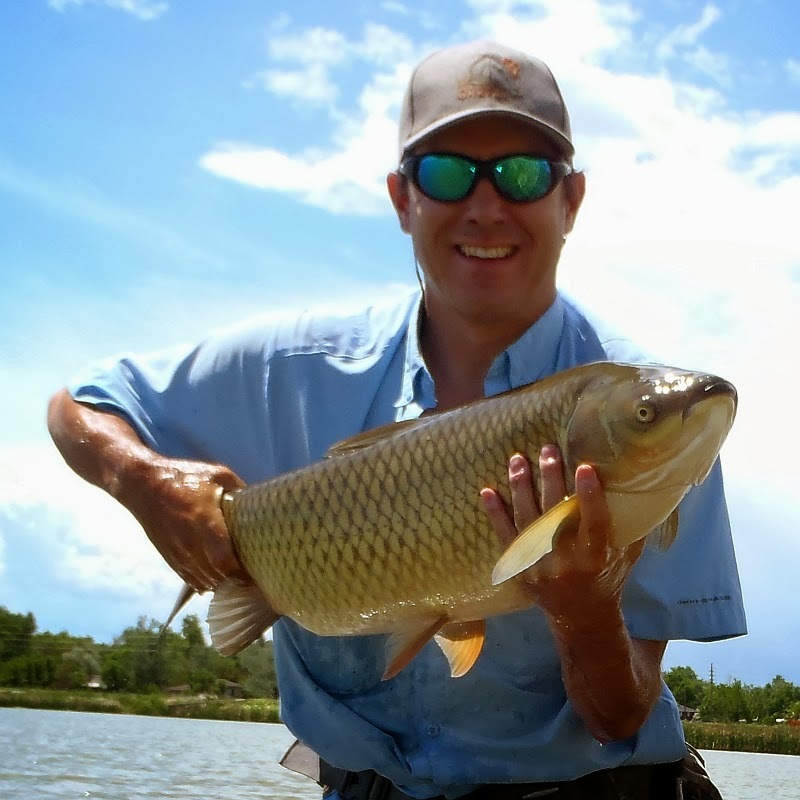 Instagram: When it comes to social networks, Instagram is easily most active when it comes to fly fishing for carp content. The best thing about Instagram is that it is extremely easy to find that content. 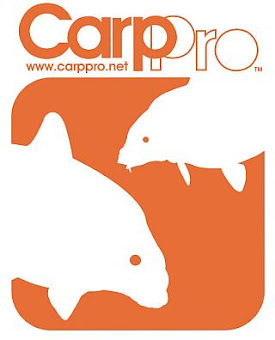 If you look on the right hand side-bar of Fly-Carpin you will see something designed to help. The "InstaLips" feed filters Instagram for pictures with the hashtag #carponthefly which is allot of fun and really active. Once you get the hang of it you can easily do the same from withing Instagram by searching for #carponthefly or even just clicking it wherever you see it. 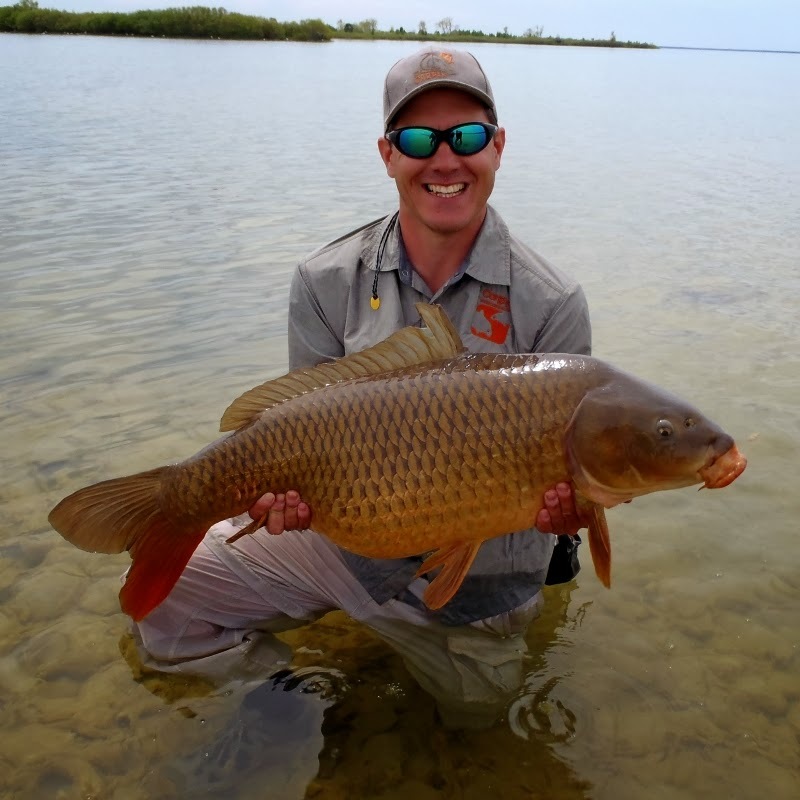 Facebook: Facebook has a good amount of carp on the fly content, but it can be very hard to sift the wheat from the chaffe, and I have never attempted to make any tools to help. 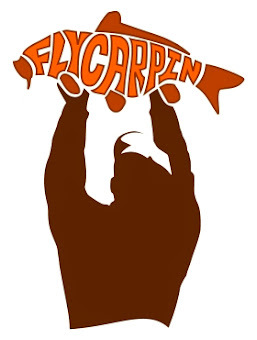 You could check out the "likes" section at https://www.facebook.com/FlyCarpin to find most of the carp content producers on facebook but in general you are going to have to wade through allot of extraneous content to get your carp fix there. 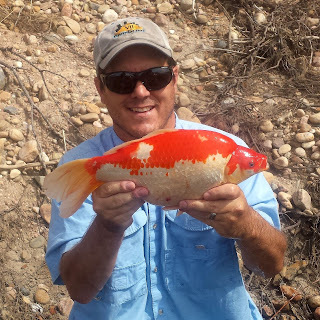 Twitter: I am not a huge fan, and for some reason the fly fishing for carp revolution is much less active on Twitter, but if it is your thing I can help there as well. Once again, there is a tool on Fly-Carpin's side-bar called "TwitterStank". It filters twitter for a large variety of fly fishing for carp related key words. So go on ahead, dive down the rabbit hole. These days there is more than enough GOOD carp on the fly content to keep you busy until spring. What's the deal, everything lock up with ice in Denver ?? I was in Scottsdale all week for business with no fishing or time..I broke off today and it took about 15 min to find fish. Resort/ golf course fish but commons and grassies were abundant. 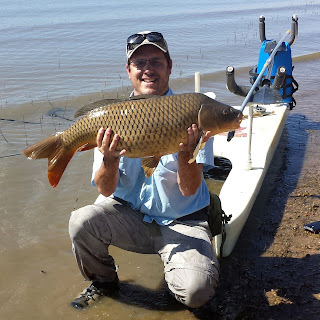 Still lots of carp around here(california) too. Maybe shoot out on road long weekend road trip south. I can not coop up for any length of time. Not good for the soul man. No, had a fairly good winter actually and my best December of carpin to date, but between having to line up free time with nice days and then the shorter daylight means that I just dont have nearly as much time on the water as I would like this time of year. I have it much much better than others though.